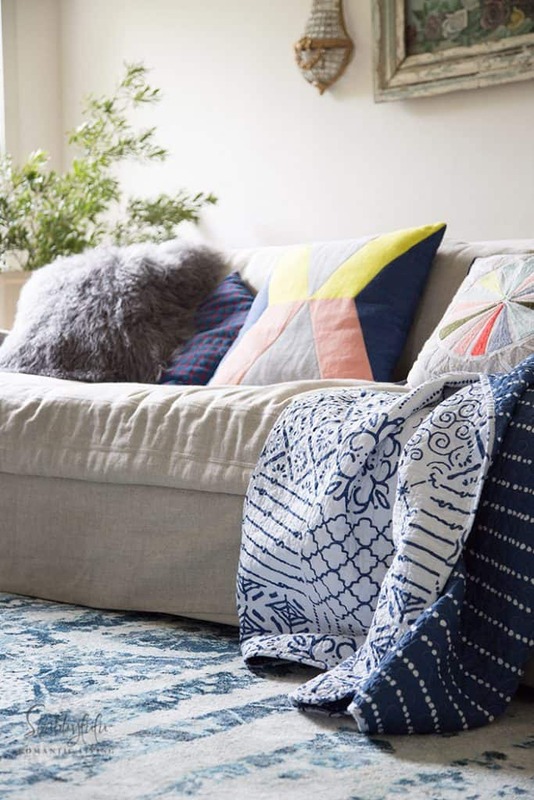 Right now I’m sitting on my sofa in the family room which I recently updated and talked about in this post. It’s a bit chilly outside for our southern spot and I’m wrapped up in a blanket. as an accent and the room is open to the kitchen that has a few blue touches as well with accessories. We have lots of pillows piled on the sofa for taking naps and for our two Cavalier King Charles Spaniels who love to be perched up high and lay on something soft. 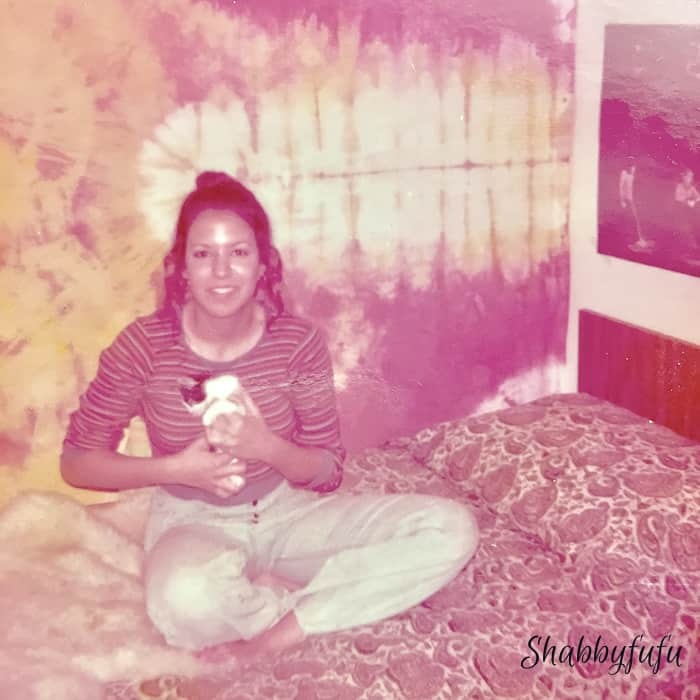 I’m looking to make a few new pillows and wanted to share a post about TIE DYE today. 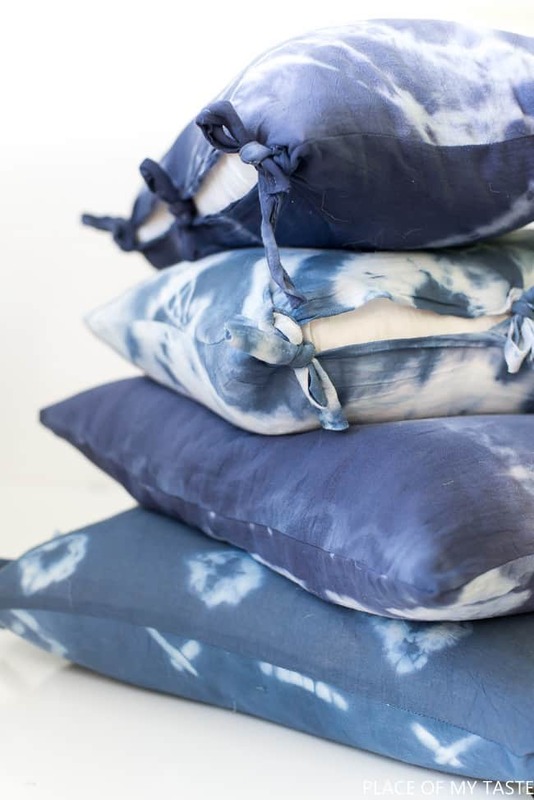 Since INDIGO BLUE is so on trend at the moment, lots of my blog friends have been experimenting and embracing the Japanese SHIBORI DYE method as a creative means to the end. 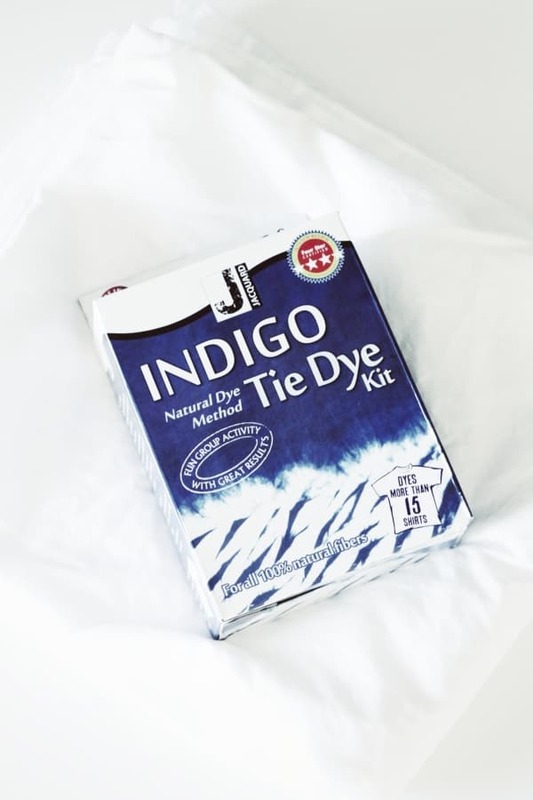 The easiest way to SHIBORI DYE would be to purchase a ready made kit and there are several out there on the market. They are pre-measured and all come with step by step instructions for both the novice or more experienced crafter. 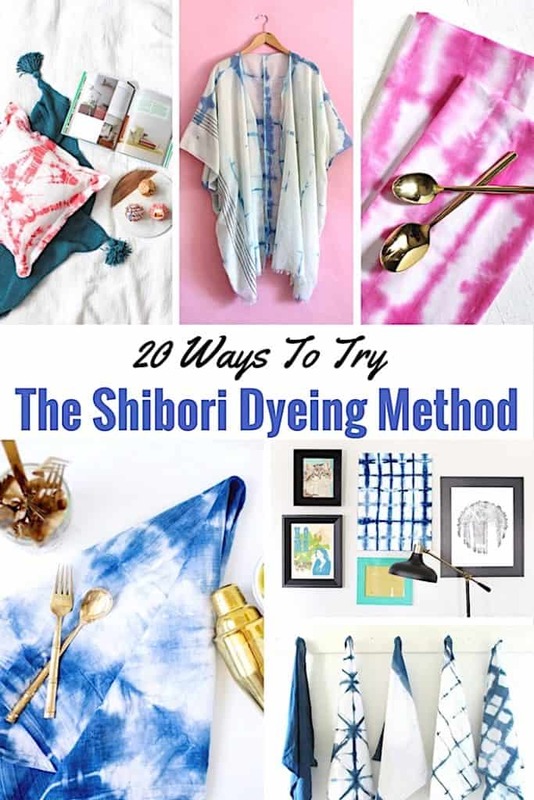 I can tell you from experience that it’s a great idea to attempt any SHIBORI or TIE DYING outside if possible. It’s not a toxic project but can be messy, especially if you really get into your work like I do. One drop of indigo on your wood floor or grout can do some permanent damage. 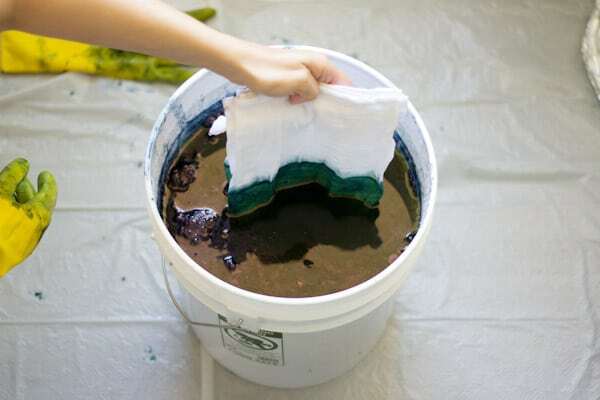 I have gathered 20 amazing projects for you below and one that I might attempt is the SHIBORI STYLE BATHMAT to add some color to my master bathroom. There are pillows, towels, lampshades, jewelry and even wrapping paper listed with complete instructions below! 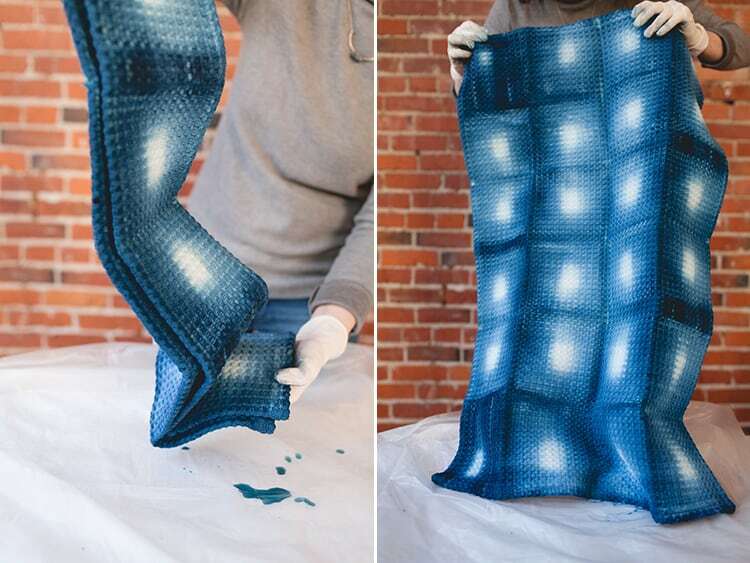 You can also use RIT DYES for these projects and can do them in any color that you prefer for your home. I’d love to hear from you in the comments if you have a favorite and if there is something here that you might try. Happy creating!